When the big white bus pulls up to the Hmong International Academy, the children who board it aren't going for a ride. Instead, they're preparing to learn -- by singing songs and reading. Each morning at the north Minneapolis academy, the students will sing different songs, all at the same time, along to basic texts. They use a web-based reading program, "Tune Into Reading," that listens and gives them real-time feedback on their singing. 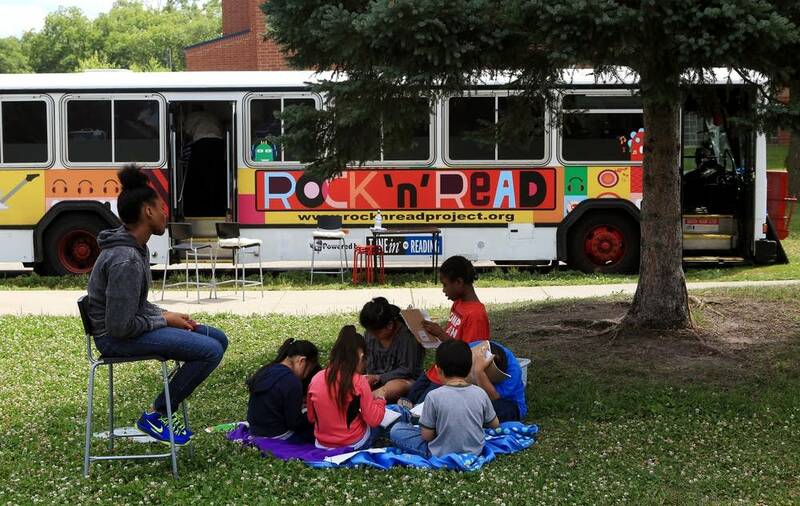 The Rock n' Read program comes to them courtesy of a retired Minnetonka couple who bought an old Metro Transit bus and converted it into a mobile reading lab. 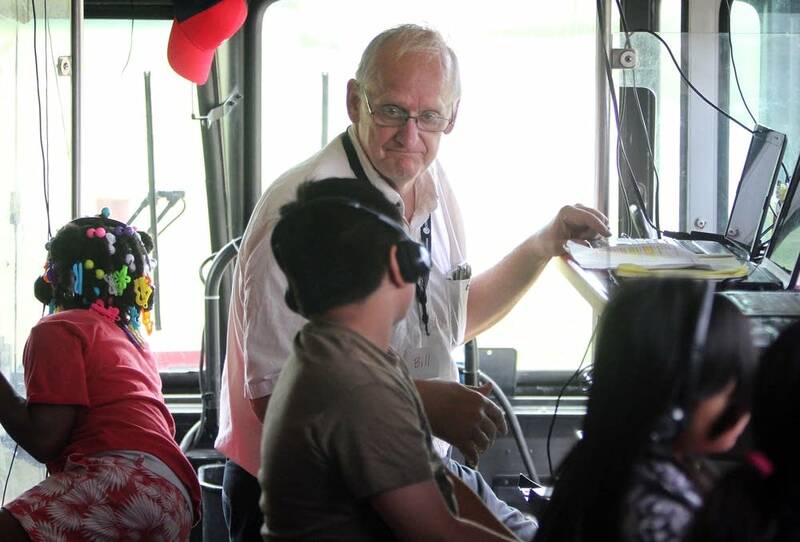 This summer, Bill Jones and Ann Kay are driving the bus around Minneapolis, aiming to give kids a summertime learning boost. 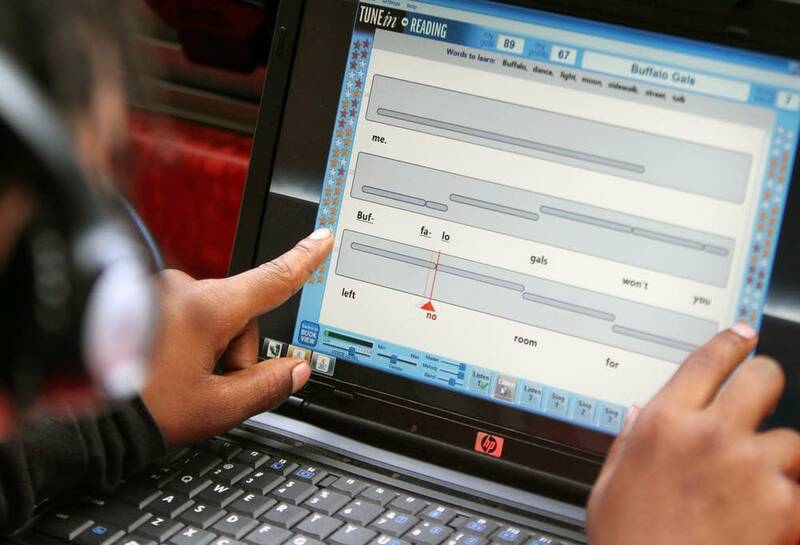 A former lawyer who spent years selling reading software made by a Florida company, Jones decided to help the children after seeing reading proficiency scores in Minneapolis -- where 58 percent of third graders weren't reading at grade level in 2013. He just couldn't sit idly by. Instead, it's big and white and goes freeway speed -- at least between lessons. Jones and Kay paid $5,400 for the bus, a 40-foot Gillig Phantom, was one of 23 buses Metro Transit sold off this year. Others are destined for uses that include as an art studio and a moving grocery store. The Rock n' Read bus has about 470,000 miles on its engine and about 107,000 miles on the transmission. Jones found a new tires for the rolling classroom on Craiglist. Volunteers painted the bus, took out the seats and installed counters. Jones and Kay, financed the project and received a few small donations. They installed an air conditioning and heating unit where the bike rack used to sit on the front bumper. An on-board server runs the software, so it doesn't need an Internet connection. 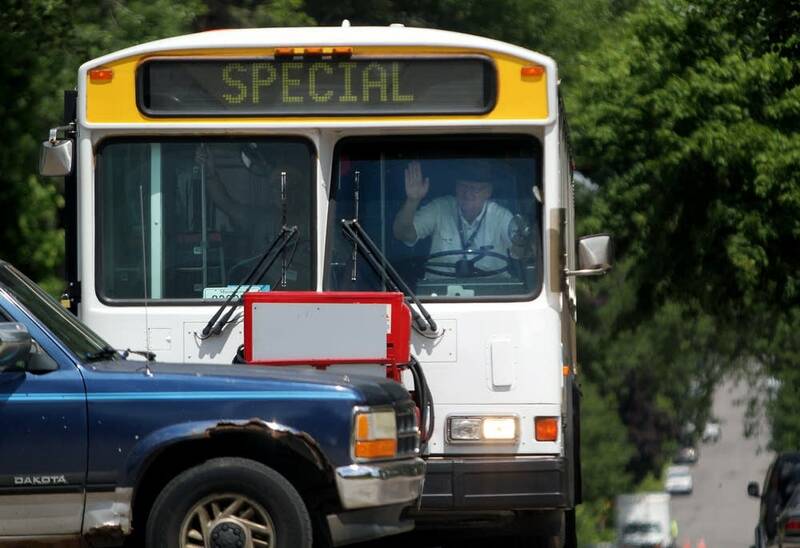 Jones, who obtained a commercial driver's license and took driving lessons from a retired Metro Transit driver, parks the bus outside summer programs and invites the kids and their teachers in. "I pull a long extension cord out and the only thing the school has to do is they supply me with a power source that I plug into and now I have the power for my bus," he said. For anyone who questions whether the program works, Kay, a retired music teacher, has a ready reply. Research, she said, has shown that music and learning are a great combination. "So this is a singing program. But coincidentally, they found out that by singing songs over and over and over again to get accurate singing, you're reading the words," she said. "So accidentally they found out there was a huge boost in reading. 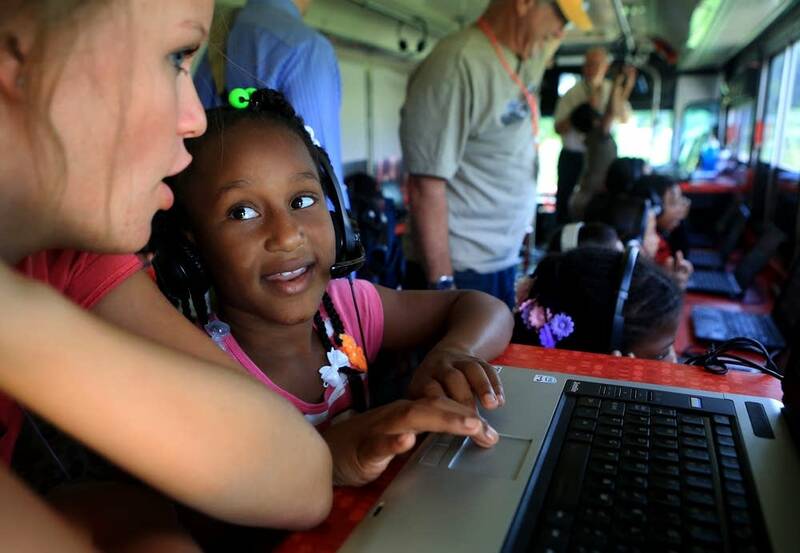 They've done a huge amount of research on this: 1,400 kids and $700,000, and it holds up." The reading software does not recognize speech. 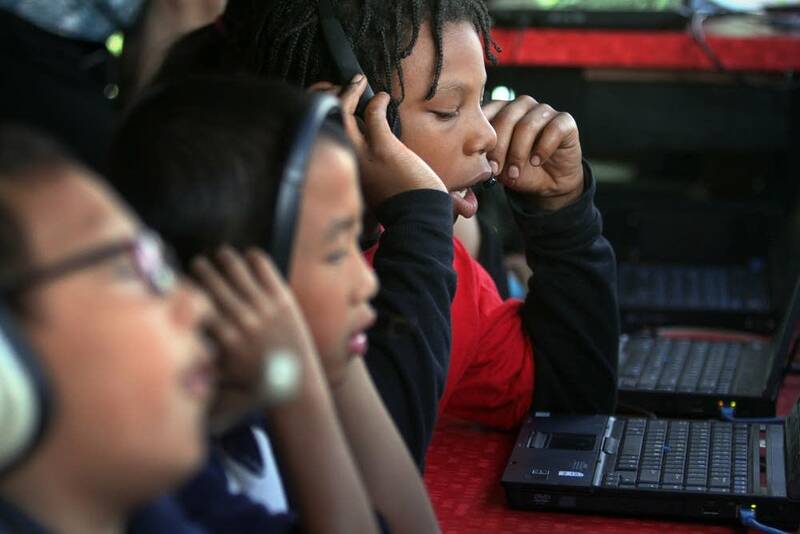 Although the computer receives a child's tone, it can't judge if a child is reading or pronouncing the word correctly. It's also been adopted in only a few Minnesota schools, although it apparently worked for kids in Waconia. "Everybody seemed to go up at least one level -- some students as much as four levels," said Jolene Herington, a retired media specialist for the Waconia school district who used the software for years. "And the best part is they loved it. It was something different, a new way to approach reading." Ultimately, that's what Jones hopes to bring to kids that are falling behind in reading. He admits that the program is not a silver bullet, but said at least it is something different. He plans to keep the Rock n' Read bus rolling through November, and add St. Paul to his route later this year. "If we're going to make it successful we're going to have to put it on a bus," Jones said. "We've got to have a marketing tool that when you bring it up, there's a different thing, there's excitement. I can't drive a school down the street, and take it to a new location, but I can do that with a bus."